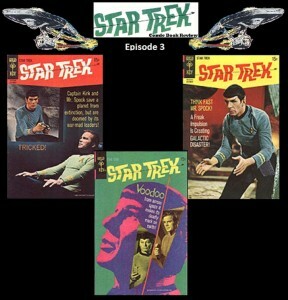 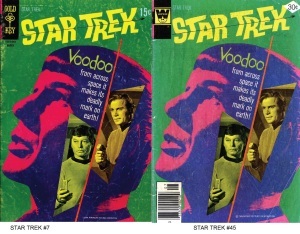 The final issue covered in episode 003 was Star Trek #7 (Gold Key, Mar ’70). This issue was later reprinted as issue #45 (Gold Key, Jul ’77). 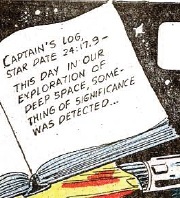 Captain’s Logs are still done on paper in 23rd Century. 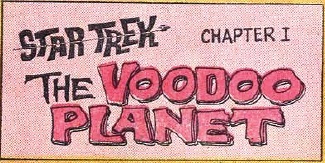 There are drinks that make your space voodoo more potent. 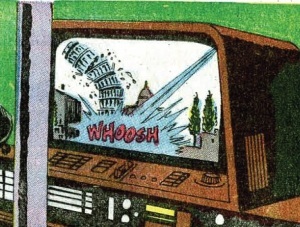 I would think performance enhancers would have been completely abolished by this time. 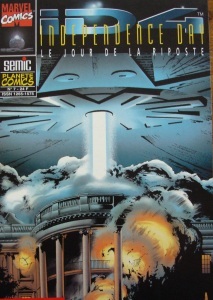 Space aliens always want to destroy mankind’s greatest constructions. 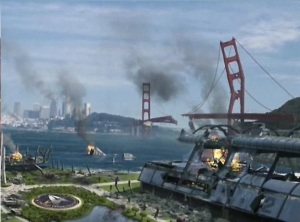 Here, several European structures are destroyed. 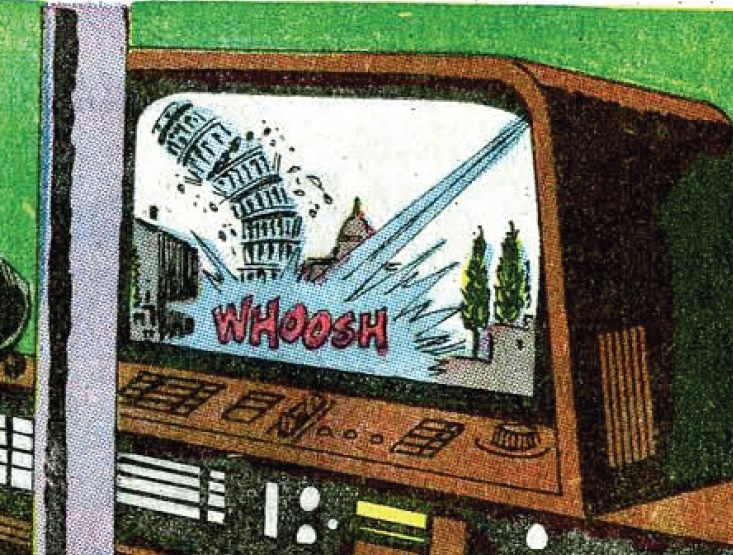 Zod defacing Rushmore, before later taking out Lady Liberty and the White House. And poor San Francisco gets destroyed in every other Trek movie and in a lot of the episodes and comics.